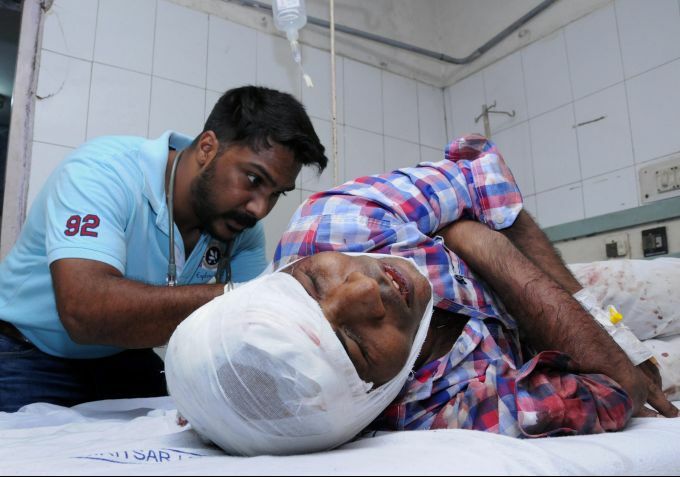 Amritsar: An injured person of train accident undergoes treatment at a hospital in Amritsar, Friday, Oct 19, 2019. Officials said at least 60 bodies have been found and many more injured have been admitted to a government hospital after the accident near the site of Dussehra festivities. 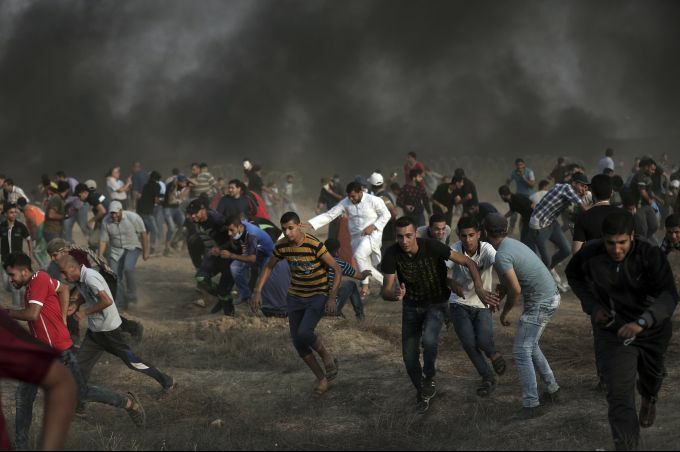 Gaza : Palestinian protesters run for cover from teargas fired by Israeli troops during a protest at the Gaza Strip's border with Israel, Friday, Oct. 19, 2018. 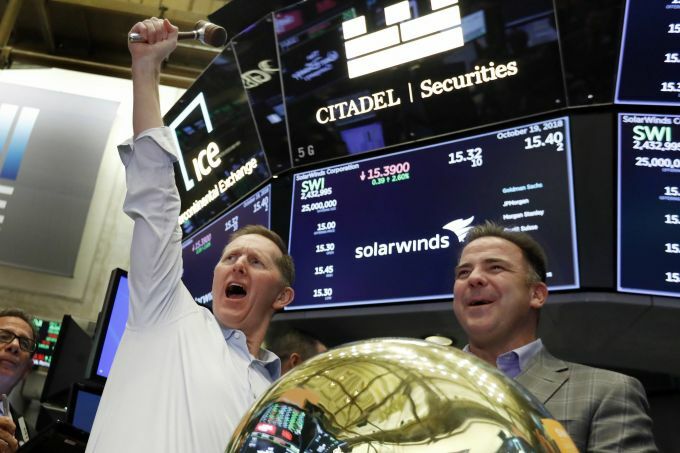 New York : Solarwinds Chairman & CEO Kevin Thompson, left, and CFO Bart Kalsu celebrate as their company's IPO begins trading on the floor of the New York Stock Exchange, Friday, Oct. 19, 2018. 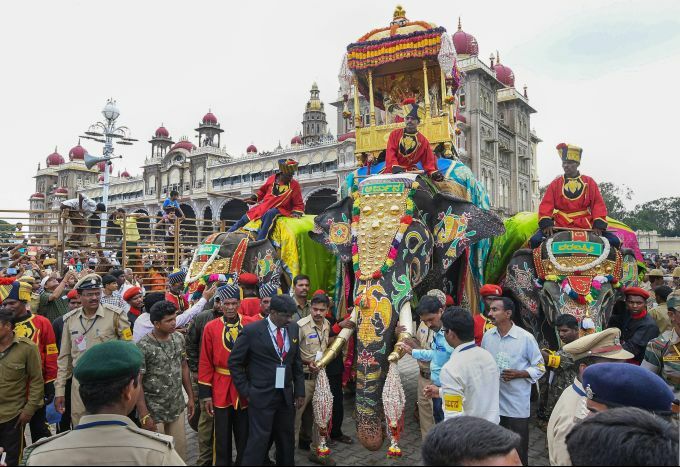 Mysuru: A caparisoned Arjuna brought back scenes of a bygone era in Mysuru Friday as he ambled along the 5 km Dasara procession route starting from Mysuru Palace carrying golden howdah and idol of goddess Chamundeshwari on his back. 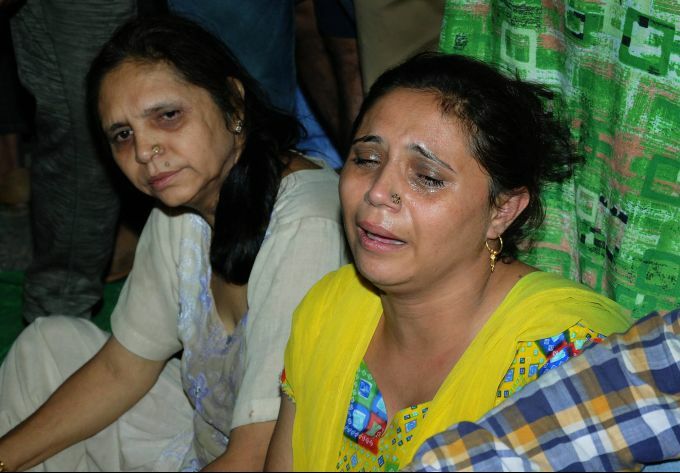 Amritsar: Relatives mourn at the site of a train accident in Amritsar, Friday, Oct 19, 2018. Officials said at least 60 bodies have been found and many more injured have been admitted to a government hospital.